So I canceled the Flex Fit hat order a few months ago cause the company I was using was giving me the run around about black hats being on back order forever. I've located a rad new vendor who is psyched on the New England BMX scene and has done work for Team EAST and Fat Trax. 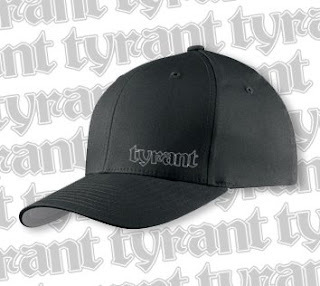 The hats should be done sometime in early September and there is the potential for some new TYRANT shirts coming out of the same warehouse. Pre-Order Discount: Pay in advance, only $15!! !